My latest creation is a monolith made using a technique featured in The Cube by Max_Stav. 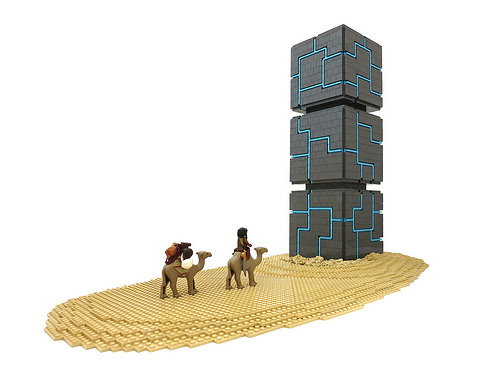 When I saw Max’s creation, I immediately knew I wanted to make something similar, and the result is an otherworldly monolith composed of 3 of Max’s cubes. You can see more photos on my Flickr page. It is great to see you build in your signature style again.